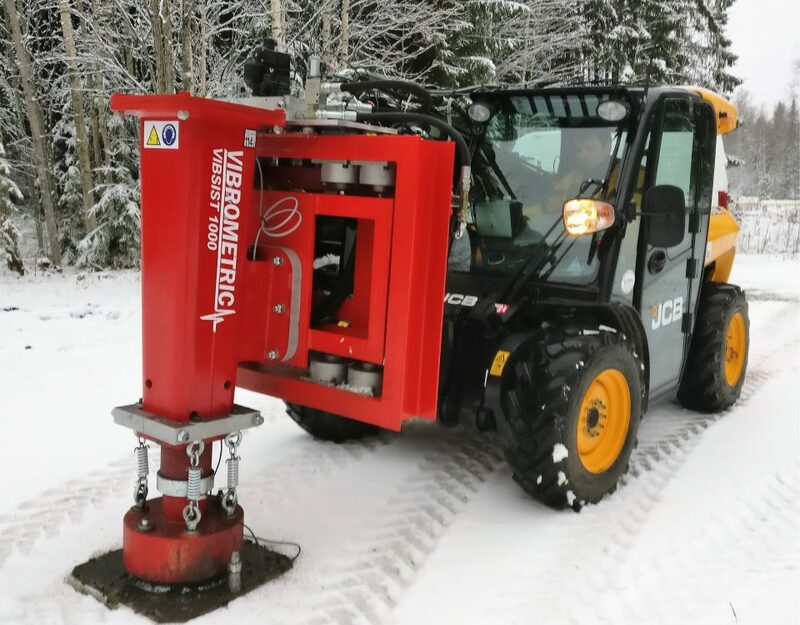 Vibrometric Oy Cosma, Finland manufactures a range of time distributed seismic sources called Vibsist, which is compatible with all industry – standard seismographs. VIBSIST are controllable, surface coupled seismic sources, which have the capability of generating high signal amplitudes, while applying only moderate ground coupling forces and power levels. Seismic signals are produced as a series of impacts, following a deterministic time- coding scheme. The source has common conceptual elements with swept frequency vibrators, accelerated drop weights and pseudo-random actuators.